The cause of leptospirosis is bacteria, Leptospira interrogans, a Gram-negative spirochete (spiral-shaped bacteria). The bacteria infect many types of animals (many wild animals, rodents, dogs, cats, pigs, horses, cattle, for example) that subsequently contaminate water, soil, and crops when they urinate because the bacteria are present in urine. The bacteria then infect humans when they invade through breaks in the skin or mucus membranes or when people ingest them. The bacteria multiply in the liver, kidneys, and central nervous system. Person-to-person transfer of this disease is rare. What are risk factors for leptospirosis? 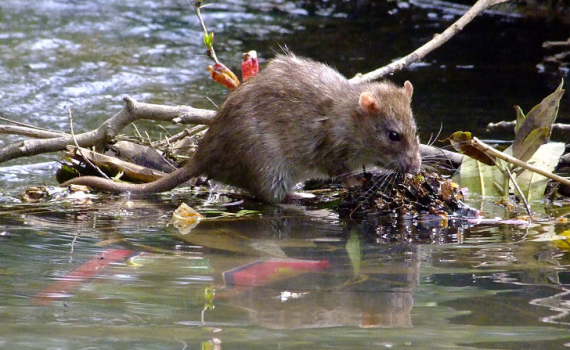 What are leptospirosis symptoms and signs? Unfortunately, the symptoms and signs of leptospirosis are variable and are similar to those seen in many other diseases (dengue fever, hantavirus, brucellosis, malaria, and others). Symptoms can arise about two days to four weeks after exposure to the bacteria. Although some people have no symptoms, others may exhibit one or more of the following: high fever, chills, headache, muscle aches, abdominal pain, vomiting, diarrhea, jaundice, rash, and reddish eyes. These symptoms usually occur in the first phase of the infection, and when present, they often occur abruptly. Some patients resolve their symptoms and do not progress to the second phase; others may seem to briefly recover but relapse with more severe symptoms and organ damage. This is the second phase of leptospirosis, called Weil’s disease. If it’s not treated, it may not resolve for several months. The death rate is about 1%-5%.